Ellanday Nurseries Ltd are committed to providing the highest quality care and education for children aged 3 months to 5 years. Both Nurseries open 7.30am – 6pm Monday to Friday and offer a variety of sessions. At Moorlands we are committed to providing a high quality service for the children and parents where care and education go hand in hand. We believe children will only realise their true ability in a happy, relaxed, safe and secure environment. The nursery is divided into three age groups, the Butterflies (under 2 years), the Ladybirds (2-3 years) and the Bumblebees (3-5 years). However, we value children as individuals and children move rooms with developmental progress rather than being a specific age. The Butterflies room is a bright, airy room where your inquisitive toddler can explore through play and interaction with a highly qualified team of staff. The room has a creative area, quiet area, physical area, home corner, small world and construction, as well as direct access to outdoor play with soft safety flooring. The staff are passionate about early development and key workers work closely with each child to ensure the primary area's of learning are carefully planned for and tailor made for them. The Ladybirds room is a fully self-contained room with lots of exciting and attractive areas to entice your little ones and feed there emerging imagination. This busy room is set out to support the seven areas of learning through the Early Years Foundation Stage. The dedicated staff put their hearts and efforts into creating a warm and welcoming environment for the children they lovingly care for. The room has a self-contained bathroom and nappy changing facilities. The children also use our large outdoor play area on a daily basis to explore and learn. Bumblebees room is for children aged from 3 and 5 years, and provides a positive, caring and friendly environment for children to play, explore and learn the all-important skills for the best start in life. We provide opportunities to be active learners and to think critically to achieve whilst encouraging children to gain independence and confidence in the choices they make. They access our safe and secure outdoor area throughout the day. For our Holiday club we work in partnership with the local schools to build on the experiences & topics they are currently covering, extending your child’s learning. We aim to enable all children in our care to enjoy their time with us, as a result of this all the activities/outings/equipment & experiences are child-led with our children being consulted about their aims & wishes for our holiday club provision. The children will have access to a computer, giving them opportunity to develop their ICT skills. We have a stimulating creative area with an extensive choice of materials. There is a role play area, board games, construction area, pool table, play station, and much more. Children also have the opportunity to read or complete their homework in the quiet area. 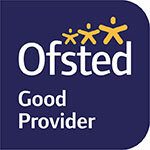 We are committed to providing a high quality service for the children and parents, care and education go hand in hand. We believe children will only realise their true ability in a happy, relaxed but disciplined secure environment. We believe that working in partnership with the parents and providing a safe secure and stimulating environment that all the children will be happy and have a great chance of achieving their potential.